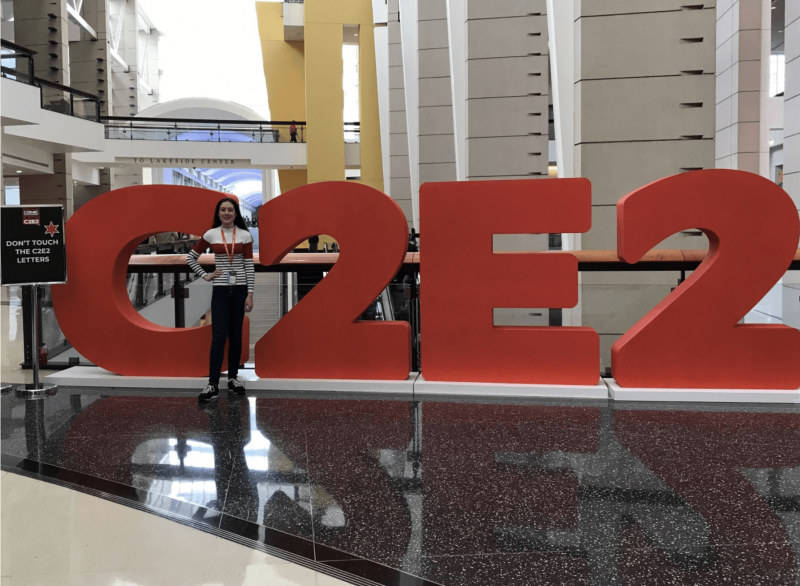 Last weekend our good friend Louise Sibthorpe had the pleasure of attending C2E2 over in Chicago. 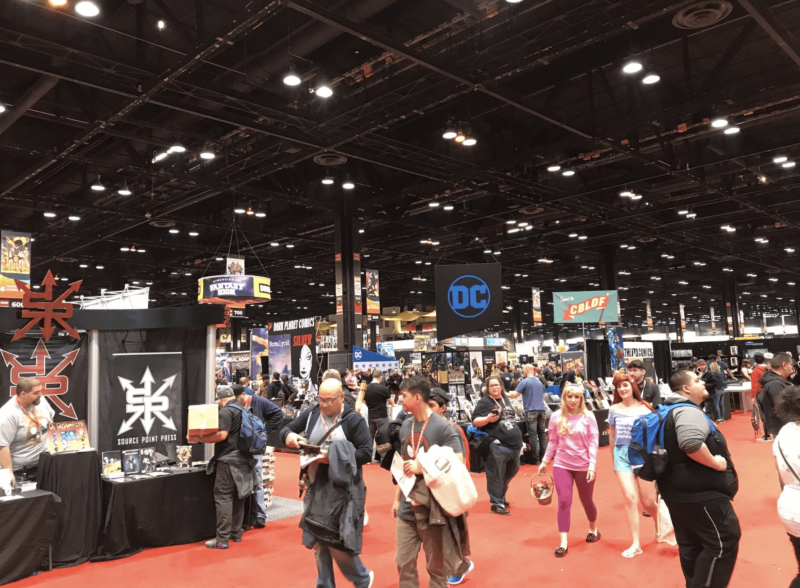 C2E2 has been going from strength to strength since starting in 2010 and now in its 10th edition, the line-up was in my opinion, their biggest to date. From the likes of Paul Rudd, David Tennant & Clark Gregg, the line-up didn’t disappoint. louise has made us a report and included some pictures of the fun she had there. C2E2 reminded me a lot of MCM Expo back in London, the layout was pretty similar. In one corner you had artist’s alley, which included legendary comic book writer & artist George Pérez, to their gaming zone and various stalls in another. A main part of the con for me was getting to meet 2 guests from Arrow; John Barrowman (Malcolm Merlyn) & Colin Donnell (Tommy Merlyn). 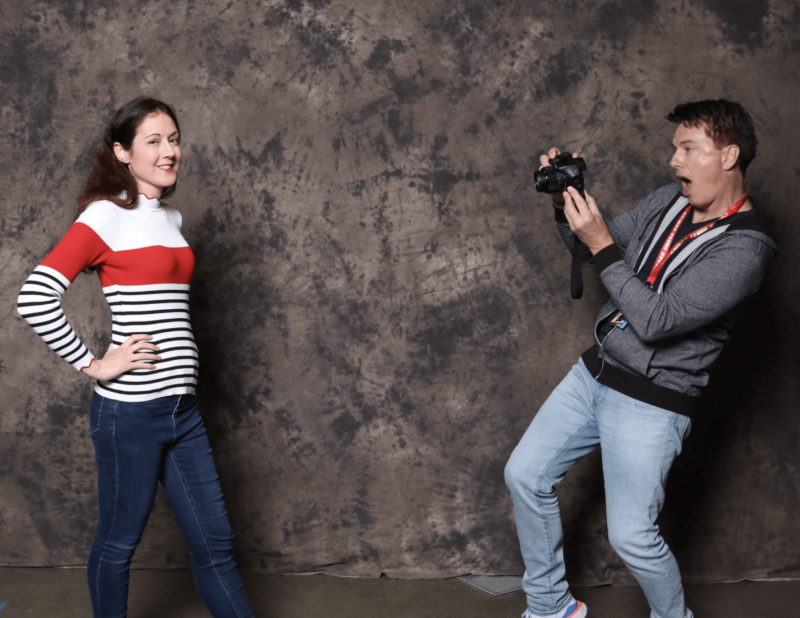 Anyone that knows me well enough knows that I’m a massive fan of Barrowman and it’s always an absolute pleasure to meet him at these events. 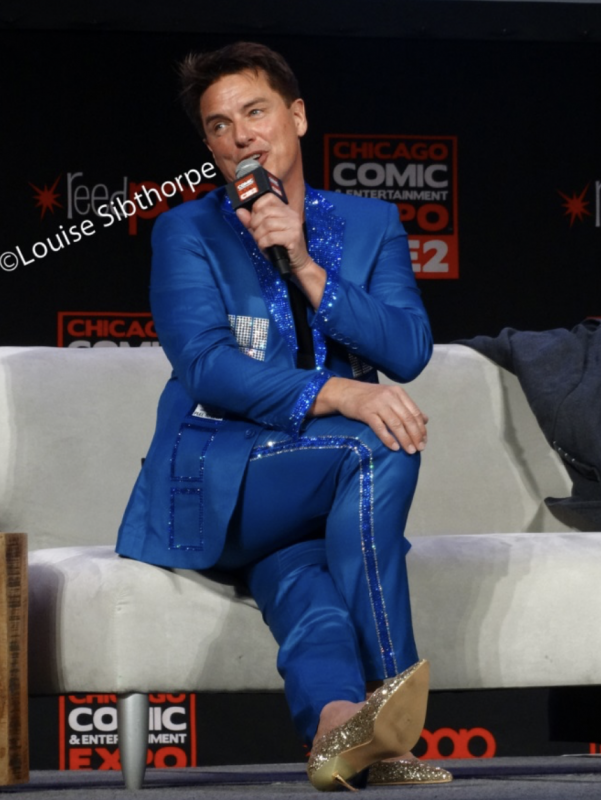 A big highlight of the weekend is of course the now famous Barrowman panels. Seriously, if you’ve never attended one of these then you definitely should. Strutting onto the stage in sparkly heels and a sparkly TARDIS suit was probably one the best things I’ve ever seen. The only thing that topped that was when Colin joined John on stage and they both strutted their way down the catwalk in heels. If you’re interested, the full panel has been uploaded onto YouTube, definitely give that a watch! 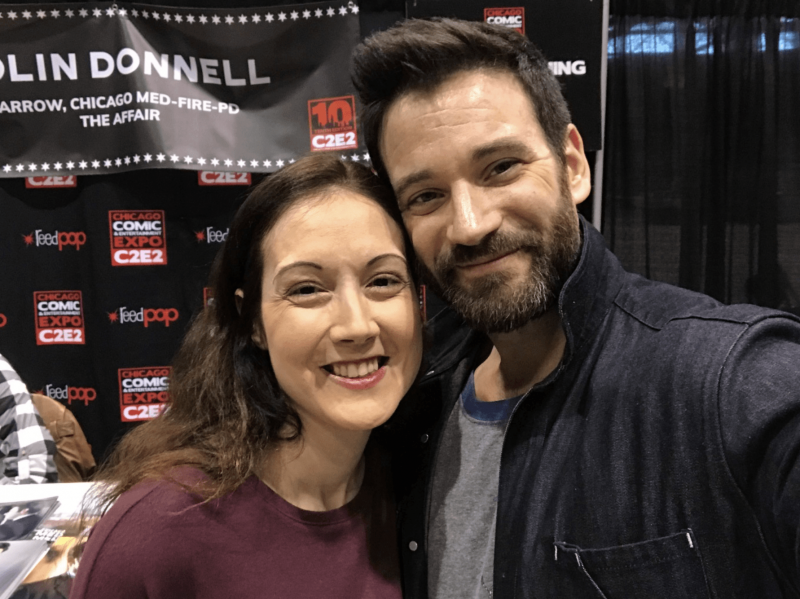 Colin Donnell is such a down to earth guy, very funny and up for a laugh. Fingers crossed he will be back in the UK in the not too distant future. 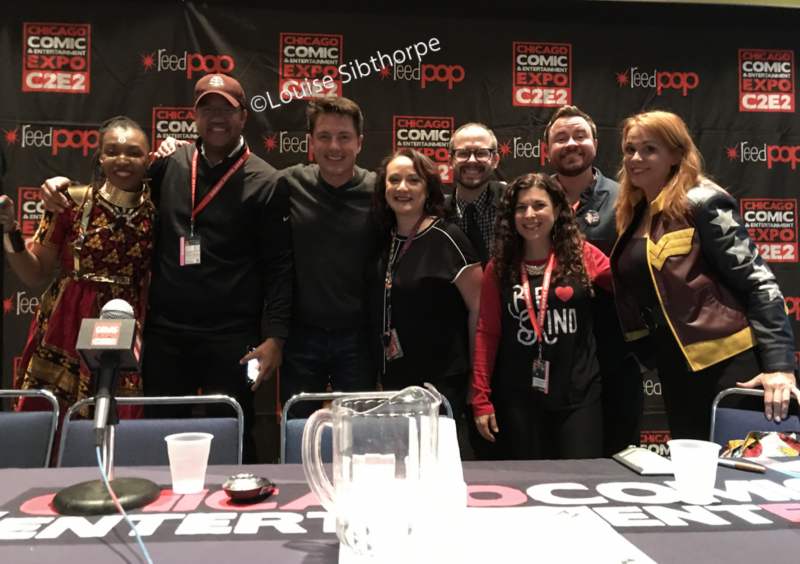 I was fortunate enough to attend the SuperheroIRL panel on the Friday which included actress Chase Masterson, writer Daniel Kibblesmith, illustrator Afua Richardson and, as a last minute addition, John Barrowman. It was a really informative panel with various stories of anti-bullying, equality and heroism in all shapes and forms. I’d highly recommend giving @SuperheroIRL a follow over on Twitter! Overall, C2E2 is a fun con with plenty of things to tick everyone’s boxes. Also a big thanks to Brandi & Matt for granting me front row access to all the panels, you guys rock!